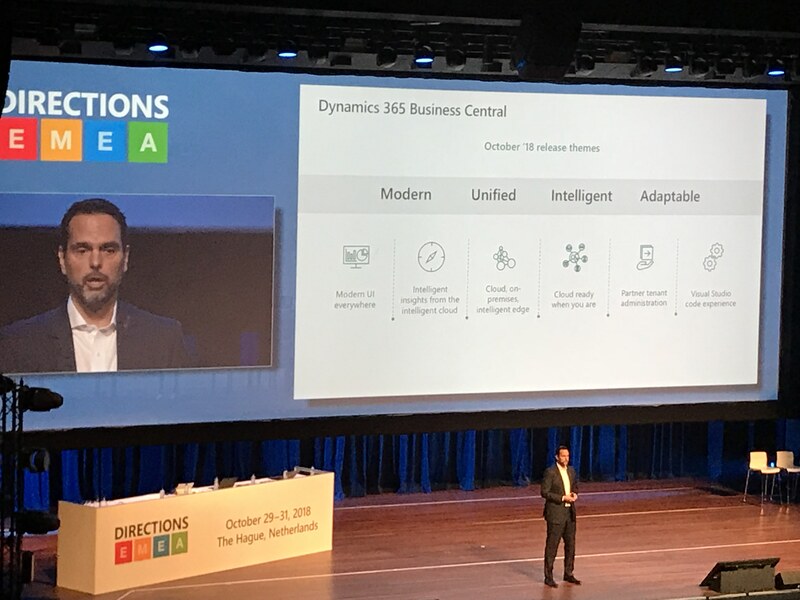 We’re full on into event season, and I have to say, Directions EMEA in The Hague was one of the most well-run conferences I’ve been to, down to the fine detail – kudos to Christian Sega and his team! Directions EMEA is a D365 Business Central-focused event for the partner community (2300+ people this year) to learn and engage directly with the Microsoft product team. The Directions conferences take place in a number of geographies; we highly recommend this conference for D365 Business Central partners. Marko Perisic, General Manager of D365 Business Central during the keynote day 1. 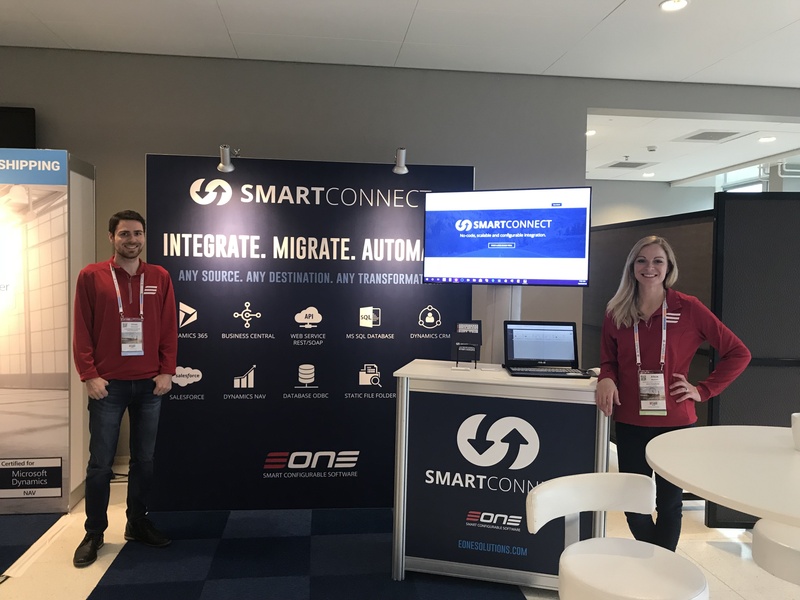 Our team really enjoyed our time in the Netherlands meeting our current and new partners, and look forward to Directions EMEA in Vienna next year. Microsoft is behind Microsoft Business Central and is moving quickly. Microsoft sent over 100 D365 Business Central team members to Directions EMEA. Over the last 6 months, Microsoft has added over 100 new features to D365 Business Central, and this is a very different product than when the first iteration was introduced. Moving forward, Microsoft’s release cadence for Business Central will be 2 major releases per year (one in the fall and one in the spring) with minor updates in between. Microsoft is taking customer and partner feedback seriously – we can attest to this with how quickly the Business Central product team has moved to fix bugs and incorporate suggestions for both the SOAP and Odata endpoints. Like any software, this is an ongoing effort and takes commitment from all parties. What will be changing and important for Dynamics partners? The IP Shift – Last year one of the biggest announcements for the Dynamics NAV community was that C/AL code will be going away and that customers looking to upgrade to Business Central will need to convert existing code to AL + Visual Studio by 2020. During one of the Directions EMEA 2018 keynotes, Microsoft demonstrated how to quickly migrate 100’s of objects from C/AL to AL, which was very well-received among the partner community. The Windows client will also be going away and replaced by the web client during this time, too. Pricing and Licensing – With the release of Business Central and update in October 2018, BC user licenses are now named users (instead of concurrent users) and include dual use rights, meaning that customers have the option to deploy in Microsoft’s cloud, on-premises or in partner-hosted cloud. Business Central licensing is only available via the CSP licensing program as a per month subscription. While not available at the moment, in the pricing and licensing session, Microsoft noted we will see more combination SKU’s available in the future with Business Central + other D365 apps, like with D365 Sales for example. While GP license prices will not be changing, there are some increases that will happen for Dynamics NAV licensing and then incentive credits are available to customers who transition to Business Central. The D365 Business Central licensing guide is available here. More Partner Readiness Assets are coming – In an effort to help partners ramp up, based on partner feedback, Microsoft has made their Dynamics Learning Portal (DLP) available to partners at no cost. Expect more Business Central online trainings, in-person technical bootcamps and online workshops to become available over the coming months. We also heard Microsoft is working on getting Business Central into trials.dynamics.com, where today you can trial the rest of the D365 suite. Partners should learn about D365 and the PowerPlatform – With the D365 branding, it’s very likely that you (Microsoft partner) have been asked about D365 and have had to qualify a bit to make sure you’re talking about the right app. Even if you’re planning to focus solely on D365 Business Central, take some time to understand how the other app offerings within the D365 suite can benefit your D365 Business Central practice and how you can deliver around them. Microsoft’s PowerPlatform – Powerapps, Flow, and PowerBI allow you to design value-add apps for your customers using and interacting with Business Central data. Looking forward to introducing some ways eOne’s offerings will play well with the PowerPlatform, like loading data into CDS using SmartConnect. Delivering in the cloud will require a different delivery and business model to be profitable. One of our partners I was visiting with recently met with one of the largest banks in the UK who was very up front with him, noting that the bank was not interested in being a tech company. They wanted to focus on what they did best – delivering the best banking experience possible. With that in mind, they did not want to allocate spend on hiring a full team to manage servers and infrastructure in-house. 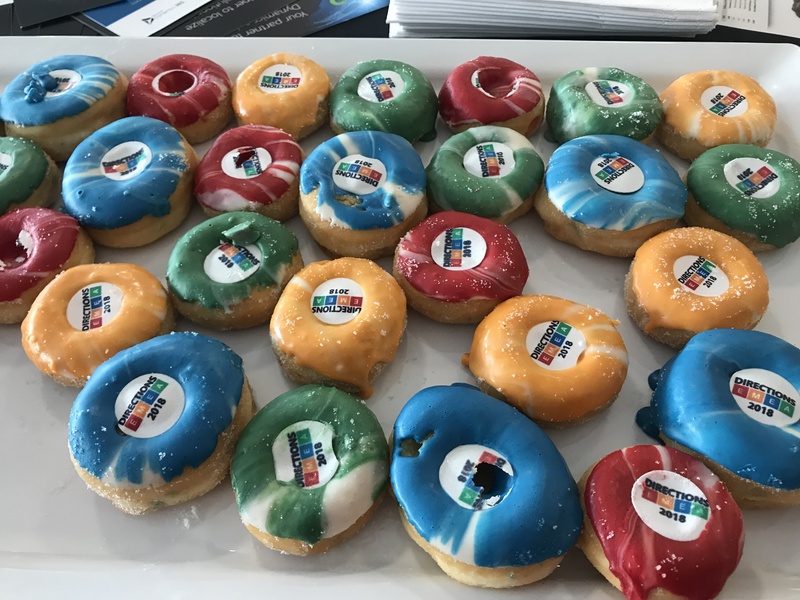 Their banking system is hosted in Amazon Web Service but they were interested in learning about what Microsoft offered for accounting solutions in the cloud. This felt like a very different take on what we’ve typically heard in the European market, but represents the reason Microsoft is investing where they are. Customers are asking for this. 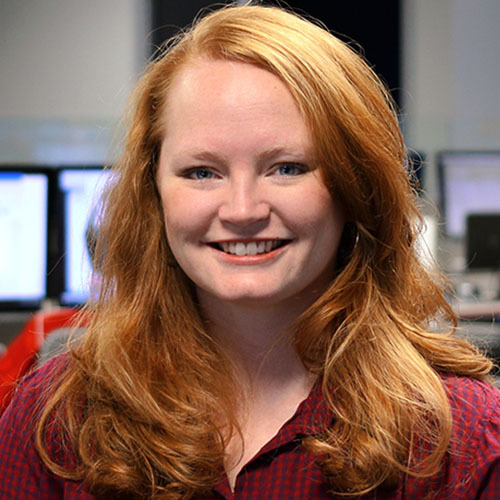 Specifically for the Dynamics NAV space, custom development has been a deeply-rooted means to deliver customer solutions for on-premise NAV base and many traditional NAV partners lean towards this. (We don’t blame them – this has been a profitable way to do business over the years.) Consequently, the very nature of having a lot of custom code means that when it’s time to upgrade customers’ ERP or help them make changes to an integration, it involves a significant price tag. This may work for a customer with deep pockets who needs very custom requirements, but in the mid-market ERP world, customers have different needs. They’d like to move quicker, have more flexibility and be able to deliver in an affordable way. Partners who can do this in the Business Central space – both with the cloud and on-premise versions –will have a competitive advantage. On Day 3 of the conference, among partners on the keynote panel discussion, the main consensus was that with Business Central, partners will need to figure out a way to incorporate much more automation, take more labor out, and increase the average deal size. It’s difficult to change from traditional models that have worked, but moving away from a break/fix model to more of a customer care engagement plan will encourage deeper relationships with customers and repeatable projects. The partner ISV community will be very important part of this. Business Central Channel Manager, Alicia Bement, and European Technical Team Lead, Ethan Sorenson at the eOne Solutions booth. We look forward to helping our partners deliver Business Central integrations without code (or a little, if you’d like) using SmartConnect and improving data access for the everyday Business Central user with Popdock. If you’re interested to learn more about these offerings, email sales@eonesolutions.com.